Classes for people wanting to learn and develop Ballroom and Latin dancing. First stage dance lessons are for couples with little or no experience of Ballroom and Latin dancing. The Ballroom dances we teach include Waltz, Quickstep, Foxtrot, Tango and Viennese Waltz. 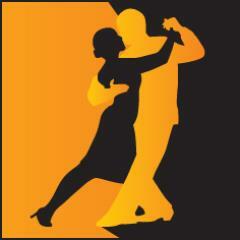 Latin dances taught include Cha Cha, Rumba, Jive, and Samba. Dance Class. Instruction (Beginner) for Jive, Tango, Waltz, Cha-Cha, Foxtrot, Waltz (Viennese), Rumba, Samba, Tango (Ballroom), Quickstep, Modern Ballroom, Latin American, Jive (Ballroom) and Ballroom Dancers. You may BYO drinks. Event is 17:30-18:30. Admission £15.00.